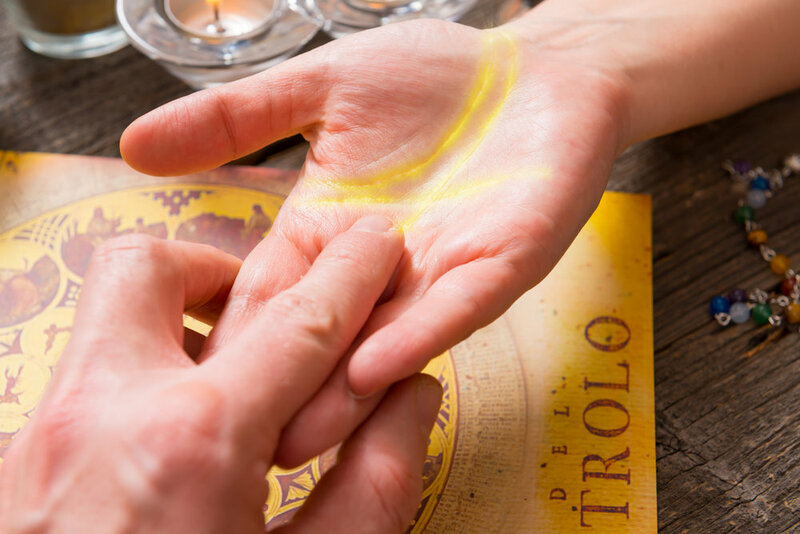 The Palm Reading is a Overall characteristic reading that gives you a chance to intrepid the lines of you palm. See what they have to tell you about your spirit self, What life path to follow and who you truly are. This Reading is suggested for those who have not received a reading in the past. You may also add this reading to our others for a combination reading. Call for special pricing. The Psychic Reading will allow you to take a look into all aspects of life. Past, Present and future. Love, career, health, family, Past lifes etc. This Reading gives you Details depending on aspects that require the most attention & energy. You Also may ask a Handful of questions regarding and subject you may want to know more about or the reading it self! $55 for up to an hour session. The Tarot Card Reading can give you insight into the most asked about subjects. Love, Relationships, Career & Finances. The cards allow for a more visual experience and give the client a chance to see and feel the spiritual essence of the reading. Giving you extreme detail, Answering all of the more important or concerning questions about your life and future. This is our Most popular reading! The gold package membership allows you to receive a psychic or Tarot card reading once monthly without having to stress about where to go or how to pay. This membership also comes with exclusive discounts and special event alerts when you join become a part of our team. Our goal is to help keep you on the right path, continue to allow you to stay clear from negativity by giving you the clarity and insight you need. The cleansing Water program For just $199.00 a month Will give you the chance to book, pay for and receive 2 Spiritual cleansing & meditation sessions along with your choice of any chakra for one balancing monthly. The Earth cleansing package for $299.99 gives you the best deal! 4 spiritual cleaning & meditation sessions and the Chakra balancing for all 7 chakras twice monthly. Here is a list of the 3 different spell packages offered & witch craft services. Can we take a minute to appreciate the fabulous names I've given them, some of my favorite crystals to work with. Just so you guys know the names don't include any one particular Crystal in your work. Just a cute spin and play on the package names. Please thoroughly look through each individual package giving yourself a chance to acknowledge the time difference in which the spells will be completed and the difference in pricing as well. We start off with the big mama spell pack and work our way to the more pocket friendly options, Even I know the rose quartz pack is a bit expensive for our everyday working guy or gal but thats why I created different packages. So that everyone has a chance to get the help they’r looking for with our having to break the bank. Each and every individual or combined spell performed by Me & my team is customized for each client. Be aware that by purchasing any service including witchcraft or love spells means that you completely understand & agree to terms of service and rules listed on this website. In order to receive witchcraft love spell services you first need to call for a full & Complete Meditation analysis so that we can ensure Energy compatibility between you and I as well as to completely ascertain that this is worth my time, your precious time & of course you're hard earned money. I will not work with any client if I do not fully believe I can help them in every way. I am a solid believer in telling the truth, so if there is even a slight chance that after the meditation and analysis is done, that I cannot help you then I will be 100% upfront and straightforward about that with you. Oh, so that you know there are no hidden fees, extra cost or any of that crap here. what you see (or pay for) is what you get. Period. I know most of you have had the unfortunate encounter with the faux psychic witch or 2 or 8 lol but just keep in mind that there is good and bad in every business and although I am not here to rag on anyone I do make it my point to set a trend in this biz to raise awareness for those of you looking for real genuine spiritual help. Now Just keep in mind that no case is guaranteed, I am not god, the Devine, Allah, Buddha, the higher power or whatever you call the big energy up there so I can’t account for every single possibility of action you take in your own life that could change the outcome of our partnership and goals together and I think being up front with you guys out there is extremely important because most faux’s won’t be. The quartz spell package includes 1 daily phone consultation between you & Isabella seven days a week. You will also have the option if necessary, to meet with Isabella once to twice a week for Energy analysis sessions. The meetings if needed, will take place at a location decided by you and Bella. During the time you work together she will be working on your case seven days a week for 3-4 hours at a time on any and all spells that are needed for your case. She will also be communicating with your spiritual guides for step-by-step advice on how to handle your particular situation. This package also includes a once a month Life assessment reading for a fun update to see how things are progressing, The reading is only dreamed necessary by Bella or a member of the team If at anytime we refuse to provide the reading it is for good reason for it is not needed. $799.99 per month. The amethyst spell pack includes communication consultations 5 days a week. Bella will also be working on your case five nights per week 2 hours at a time, casting spells, communicating with the spirit guides, retrieving important guidance as well as information and updates on those included or involved in your case. I.e. Love interests, Coworkers or friends and/or clearing cleansing any energy thats within or around you for your case. This is our most recommended and most popular package. This package includes a possible or optional Bi-weekly meeting in person and includes all materials or as many spells needed. $499.99 per month.